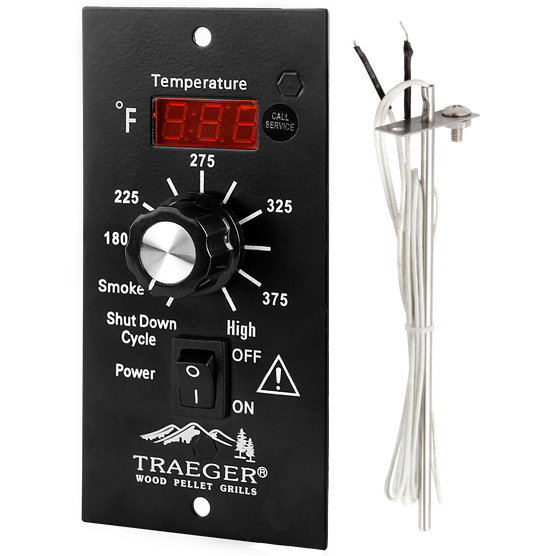 Get digitally dialed in with the ultimate way to control your barbecue. A ridiculously handy digital upgrade from the multi-position control found on older models, our Digital Thermostat control goes to eleven: it’s a super simple way to control your BBQ. The orange LED Display provides an accurate temperature reading, and the Auto Shut-Down Cycle reduces the amount of residual ash left behind in your firebox and grill bottom. With a digital temperature thermostat, read the heat with ease. This Digital Thermostat Kit is a worthwhile upgrade from the 3-speed controller of the past. Keep temps in check with the digital temperature controller and cook all your meals to tender perfection.